Why create a company calendar? 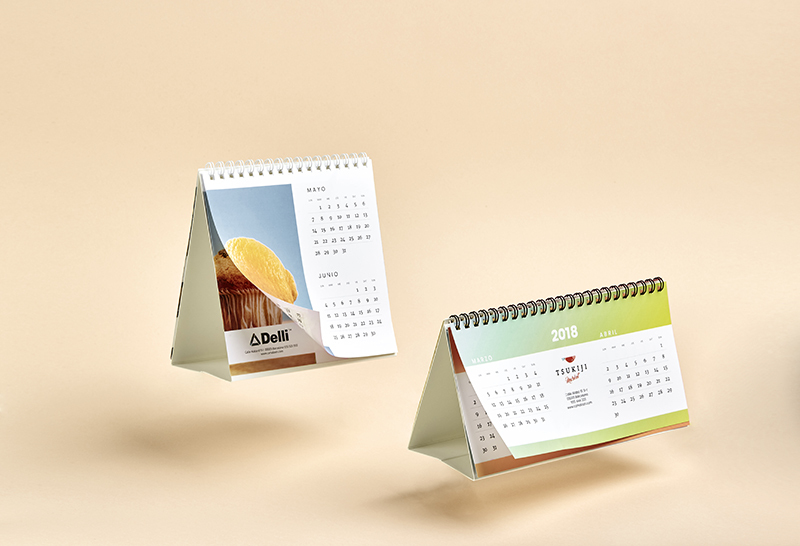 One of the biggest advantages of personalised calendars is their versatility when adapting to any kind of environment. That's why they can be used both at the office and at home, helping to keep your logo visible in any place and at any time. Due to their practicality and as it is an item that people often look at, it is a product that will never end up hidden away in a drawer. At Camaloon you have various models available. 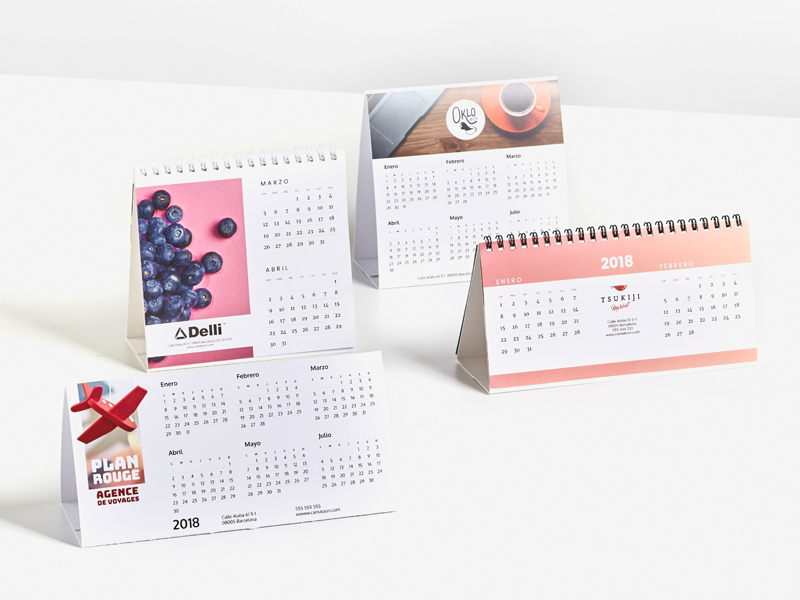 You can choose a desktop calendar with durable pages which are easy to browse through and are spiral-bound; or the triangular model, which allows you to see six months at a time, with one simple turn. Which one do you prefer? We have a series of neutral backgrounds and templates to go with your logo, which you can use to add colour and visibility to your brand image. Because every company image has its own style, Camaloon's plain calendar backgrounds are designed for vibrant and colourful logos. The most vibrant templates will allow you to be more creative and keep your own style. For your customers to keep on their desks all year long. 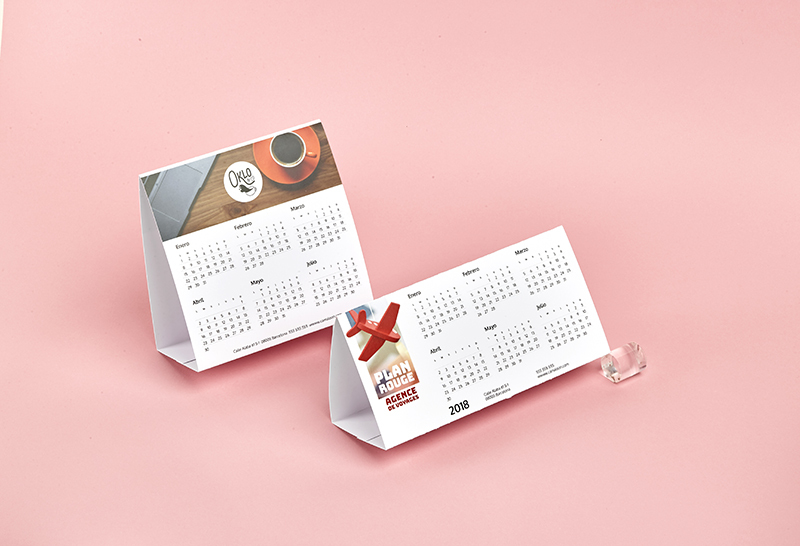 Print your logo onto desk calendars for 2018.